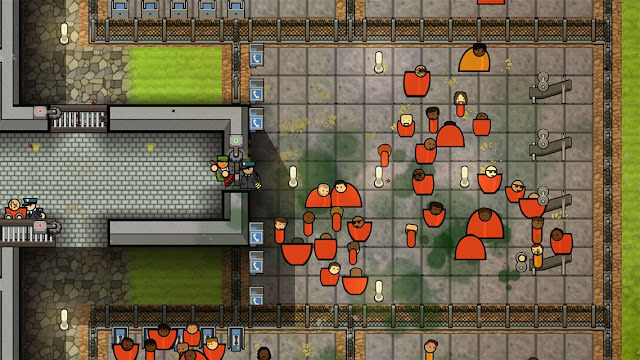 The first time I ever set eyes on Prison Architect was way back in September of 2015, as visiting EGX at that time, the game had a fancy yet small cell-like setting right next to the YouTube stage where my eldest son had me standing most of the time. Not having the time to actually give the game a go, it was a still a game that I always remembered thanks to the setting it had at that event. 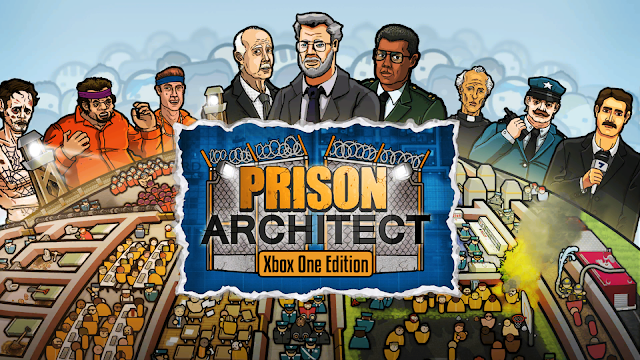 Not normally a genre of game that I play on a regular basis if I'm honest with you, Prison Architect looked to be a game that needed a lot of time sunk into it to see any sort of return, and as I've told you guys plenty of times before, time is something I just don't have. Getting caught up with other reviews, summer holidays starting earlier in the week, add in a wife at home not being well for a good month and a half, and time has never been such a valuable commodity to me right now. None the less, I've sat down with the game now for a good seven hours or so and find myself feeling comfortable enough to give it a little review for you guys to read. Prison Architect started off in the game preview program for the Xbox One around March I believe, but not so long ago finally saw itself getting a full release onto the console. Thinking of games I've played that reminded me of this game on my Xbox One, Zoo Tycoon instantly came to mind, swapping prisoners for chimps and elephants of course. The game concept is very simple. Build a prison from scratch and make it the best damn prison the world has ever seen. 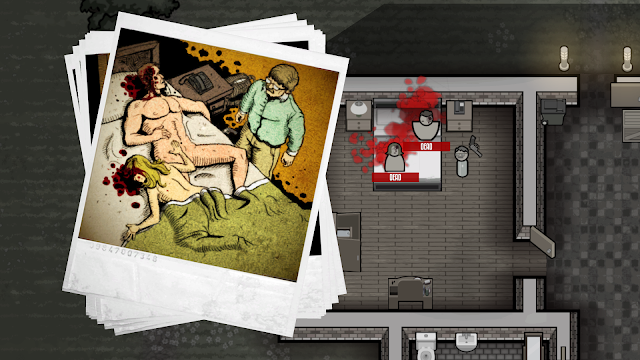 You have a few modes of play in the game, but the place I started my time with the game was with the thoroughly enjoyable Prison Stories. This mode while essentially being a tutorial portion of the game turned out to be a lot more the more I played it. Offering a small story in each of the five chapters available, it turned out being the most accessible portion of the game for me. Holding your hand all the way through teaching you the simple ropes, it also has a few moments where it allows you to go off and do a few extra requirements and complete additional quests before you finish the chapter. I'm not sure if because it had a story based element to it was the reason it was more my cup of tea. None the less, a great portion of the game that I hope is added to with some DLC at a later date. Then we have the main building mode, which sees you bringing what you've learned from those prison stories and putting your imagination to work. 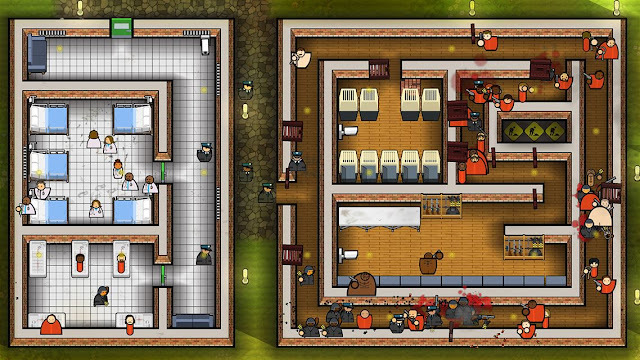 The main mode has two options available to you, with Architect giving you an empty plot of land to work with, or Warden mode giving you a set amount of pre-built prisons and areas to work with and add too if you wish. From there you can mess with the game options before you begin on what will be a tough learning experience, even if you've messed around with the prison stories I mentioned earlier. The options offer things such as what warden you wish to have working at your prison, game difficulty, map size, and most importantly your budget that you have. Once that's all out the way things get going, but I can't lie to you all and sit here typing this review saying that I have a Prison that I can be proud of just yet, but slowly I'm getting there. Away from the safety net that the prison stories offer, everything is under your control. That means everything from building your prison and hooking up power and water for it, right down to hiring janitors and cooks to keep what prisoners you allow into your prison happy. It can be a bit daunting to those who are not familiar with this sort of game to begin with, but while it does have a tough learning curve to it for a novice like me, I imagine players who dabble in these games will get to it like a duck to water. That's not to say guys and girls who are noobs like me won't get much from it, but it will depend on your patience with it all, as it can be easy to just give up with it all rather than giving it a chance. Overall: Prison Stories were fantastic, and a great little way of giving the basics to you while being bloody enjoyable. The same can't be said sadly for the main meat of the game, as it's less forgiving and has a harder learning curve to it for novices to the genre like myself. Controls can also be a bit fiddly at times too.